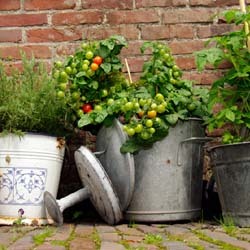 Daniel's Lawn & Garden - Our Blog - Great tips for your home & garden! What’s not to love about a tree? 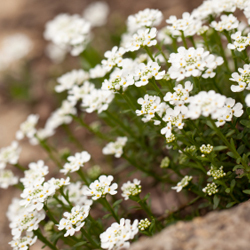 As they grow, their photosynthesis removes and stores carbon dioxide, maintaining a safe oxygen level for us to breathe and cleaning pollutants out of the air. 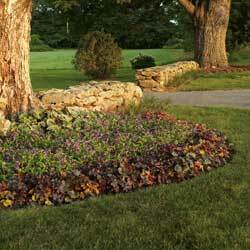 They provide beauty in our gardens and parks. Many provide shade, fruit, syrup, nesting places and animal refuges. 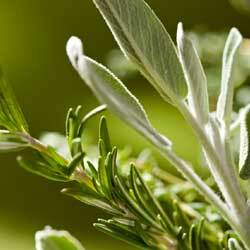 They can be a windbreak or a privacy screen. 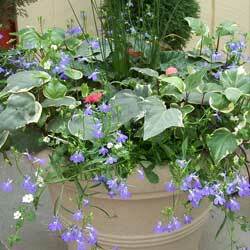 They can be ornamental and practical all at once, and can thrive with little or no care. We want you to get the most enjoyment out of your trees. 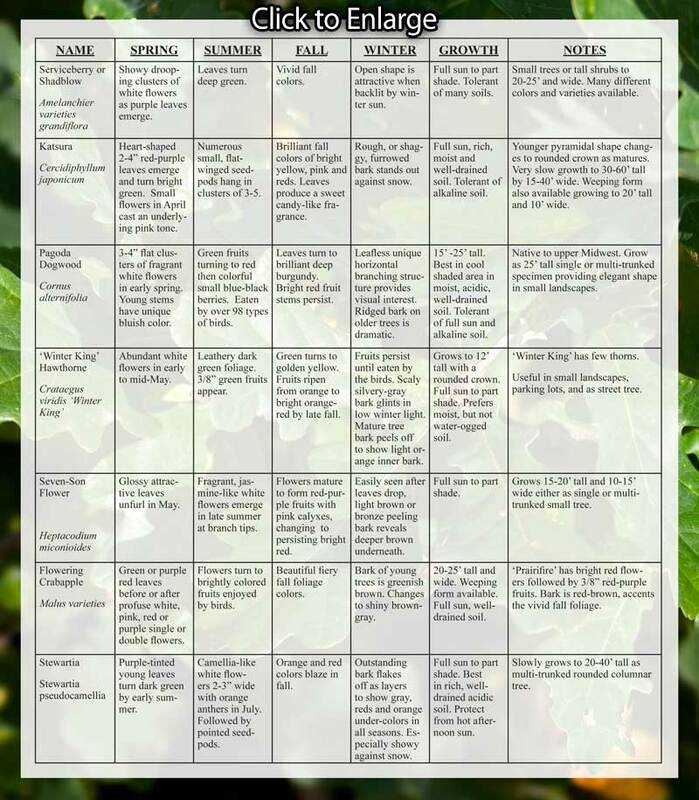 Therefore, we have selected seven underused but special trees for you to consider in your landscape. 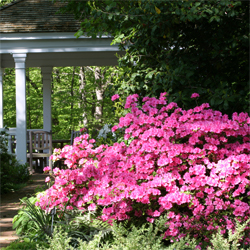 Very hardy, these trees provide all-year interest in mid-Atlantic gardens. Of course, these aren’t the only trees with year-round interest. 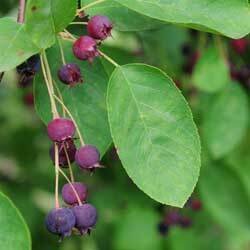 Harry Lauder’s Walkingstick, paperbark maple, tri-colored beech, ‘JN Strain’ musclewood and the various cherries are just a few others that can be showstoppers in your landscape throughout the year. Come on in to see our diverse and incredible selection of beautiful trees. 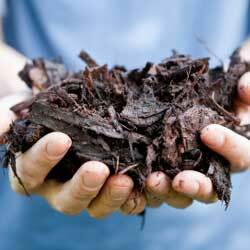 We’ll help you select the perfect one for your landscaping needs and ensure you enjoy it throughout the year. 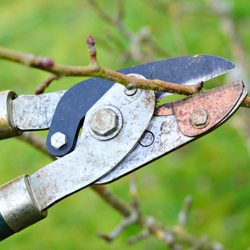 Late winter pruning is often recommended for many trees and shrubs. Pruning the plants while they are dormant is less stressful for the plant and it’s also easier to view the structure of deciduous trees and shrubs without leaves to ensure the pruning helps create the desired shape. It’s also a time of the year when late winter sunshine makes us all long to be in our gardens and pruning is an excellent job to get us out there. To get out and get pruning, you will need the proper tools. 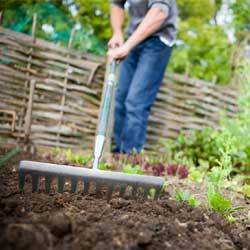 There are several types of pruners that should be in every serious gardener’s tool shed. The simplest tool, but the hardest to choose, is the hand pruner. There are two distinct styles of hand pruners: the anvil type and the bypass. The anvil pruner is good for pruning deadwood or undesirable growth. For more valuable specimens anvil pruners tend to smash the wood during cutting, leaving the wound open to insects and disease. 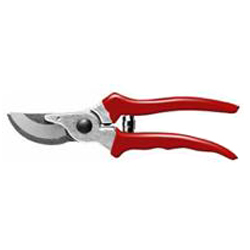 Bypass pruners are like a pair of scissors and give you an easier, cleaner healthier cut. Different hand pruners are available in different sizes and grip styles, including options for both right-handed and left-handed gardeners. To get the best results, it is important to choose a hand pruner that feels comfortable but still provides adequate strength for the job. Another tool that comes in handy is the lopping shear. They are used for making larger cuts up to 1-1/2″ in diameter, and have longer handles to provide more power without stress or strain. The longer handles also provide a better reach than hand pruners. 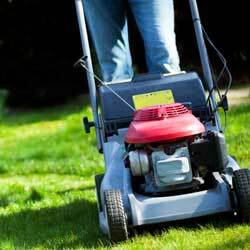 They are also excellent for clearing away undesirable growth in your yard, including trimming hedges. The last tool you’ll need is a pole pruner. It is a combination lopping shear and pruning saw. The pole pruner extends out to twelve feet and can be used for making small cosmetic cuts or larger limb removals without needing to set up a ladder. Pole pruners are also useful in dense canopies when using a ladder would not be practical or suitable. To learn more about pruning specific trees or shrubs and to choose the appropriate tools for the job, please stop in or give us a call. We’ll be happy to help you be sure you are equipped to make clean, appropriate cuts that will help your trees and shrubs look their very best.